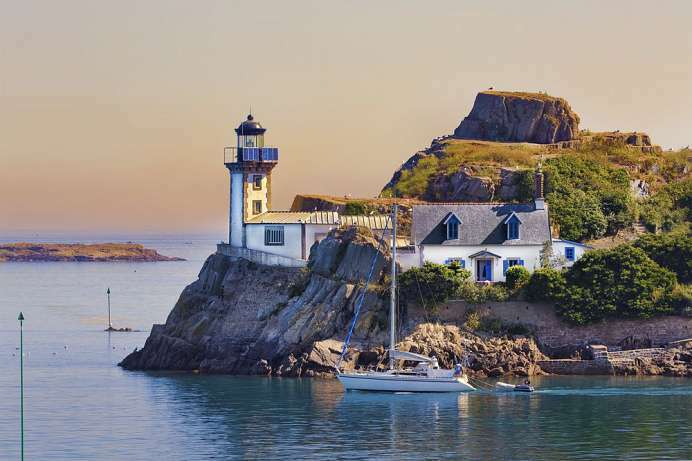 With over 1,500 km of coastline, Brittany is almost completely surrounded by water. Typical features of the landscape are grey slate roofs, bluish-green water and pink hydrangeas. The scent of salt water always fills the air. 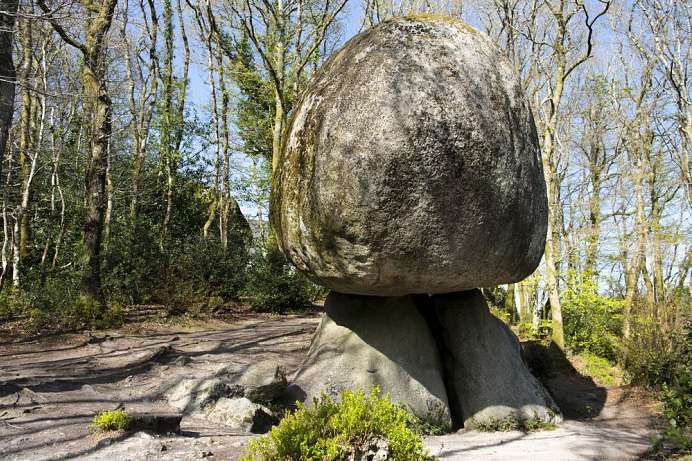 The mysterious Carnic Stones, the menhirs of Locamriaquer, the legends of the Round Table, and the myths surrounding the wizard Merlin bear witness to the region's Celtic history. Almost every village has a saint to whom an annual festival is dedicated. These festivals, called the “grand pardon”, are rooted in the pre-Christian, Celtic tradition. 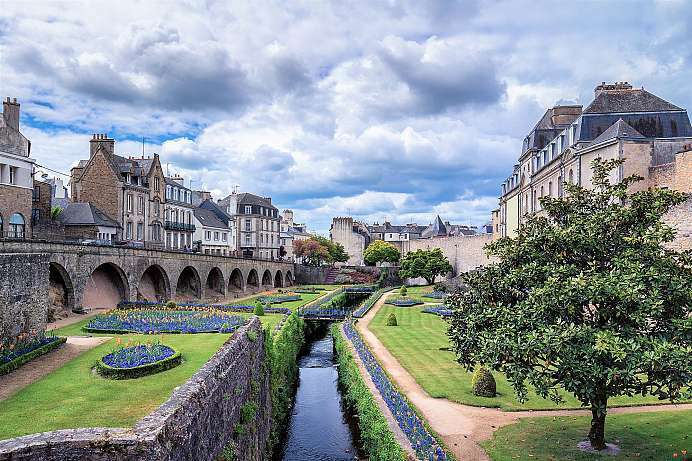 There are many picturesque towns along the coastline, especially the capital city of Rennes. 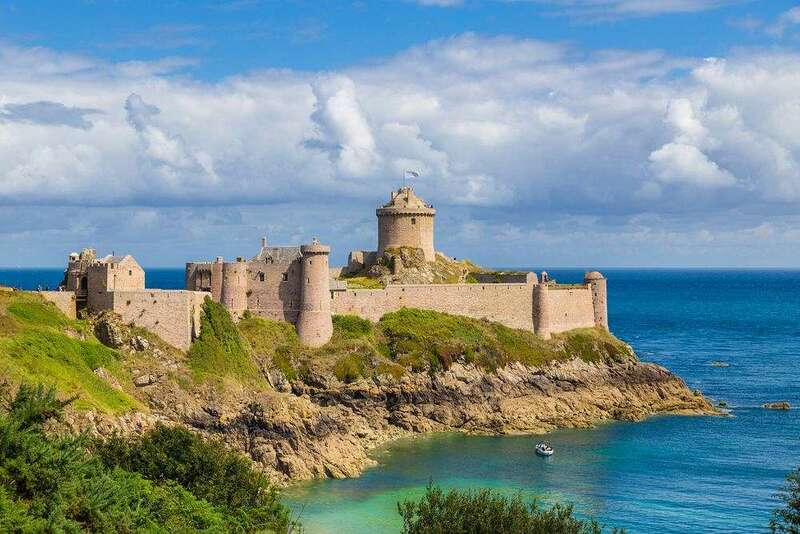 To the north is the Côte d'Emeraude, the Emerald Coast, with its beaches, small harbours, bays, cliffs and splendid panorama views from the old pirate city of Saint Malo to the town of Erquy. 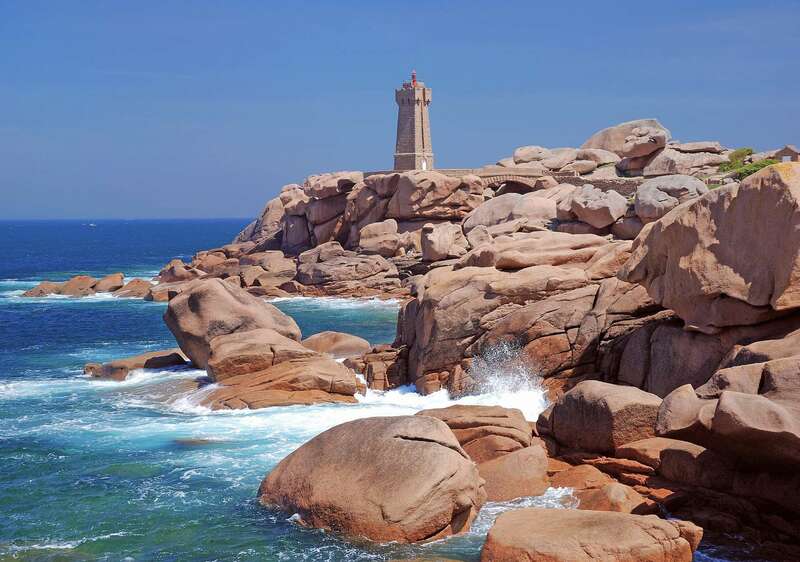 At the western edge of Brittany is the Pointe du Raz, a promontory that extends into the Atlantic Ocean. This is a dramatic place of crashing waves and strong winds. 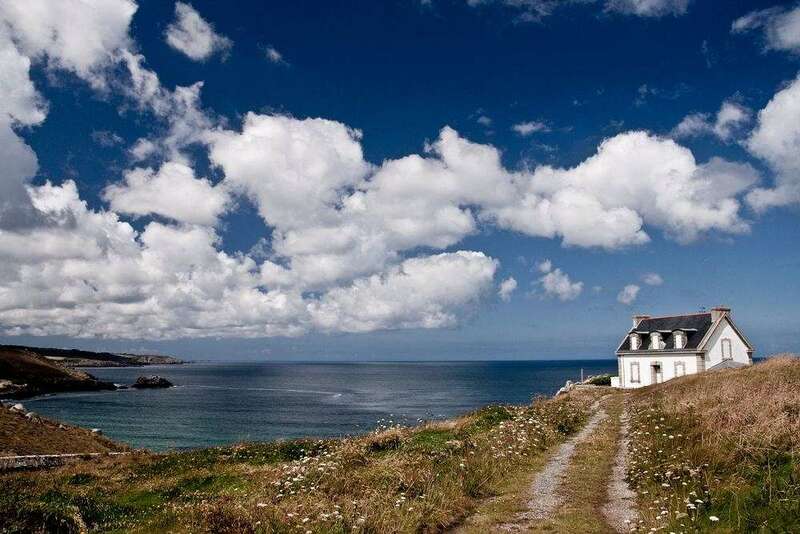 Southeast of the Pointe du Raz is a beautiful stretch of coastline made up of sandy beaches and scenic bays. In the old villages on the north coast of Brittany, the Calvaires are especially interesting. They are ancient parsonages surrounded by a dry stone wall and devoted to strange saints. Every village seems to have its own saint. Most of the are not of Christian but of Druidic origin. Saint festivals are held to this day, which are staged like plays. Brittany has a total of 777 saints around which entwine many, partly pre-Christian Druidic legends. The circuit of Enclos Paroissiaux is a tourist route that leads to the most beautiful parish courtyards. Particularly impressive is St. Thégonnec, which you enter through a triumphal gate. 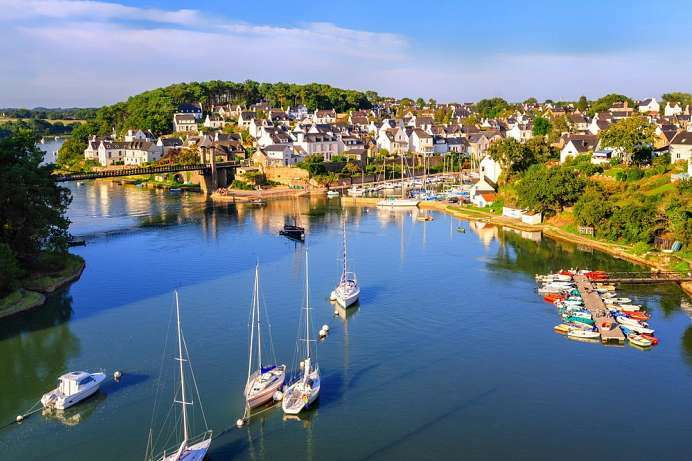 The coast between St-Michel-en-Grève and Morlaix presents itself as Brittany from the picture book with rocky cliffs and sandy beaches, headlands and small harbors. The Corniche de l'Armorique can be accessed via a curvy piece of the D64. If you want to travel the 60 kilometers by car, you should take plenty of time for photo breaks and walks. Prehistoric finds around an island rich inland sea. The gulf is actually an inland sea with many islands and is connected only by a narrow passage with the Atlantic. Between the headlands, the tidal currents are extremely strong. When the tide comes in, the water rushes through the passage with speeds up to 12 km/h. The marinas in the gulf therefore employ pilots, who safely bring boaters back to the open sea. The mudflats of the gulf form a special habitat, which is populated mainly in the winter by hundreds of thousands of geese, ducks and waders. 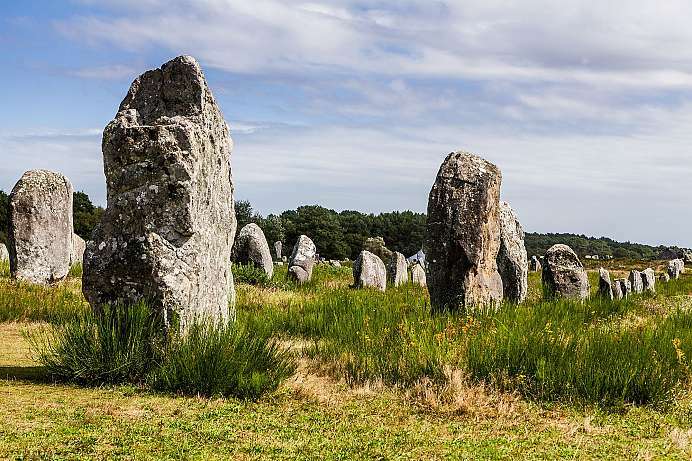 In the area there is a rare abundance of prehistoric monuments: standing stones, dolmens, tumuli and stone circles are evidence of a mysterious pre-Celtic civilization, whose age is estimated up to 6000 years. Cenutries ago, Brittany was civered with dense forest. The Romans cut extensively and used the beech and oak for shipbuilding or charcoal. 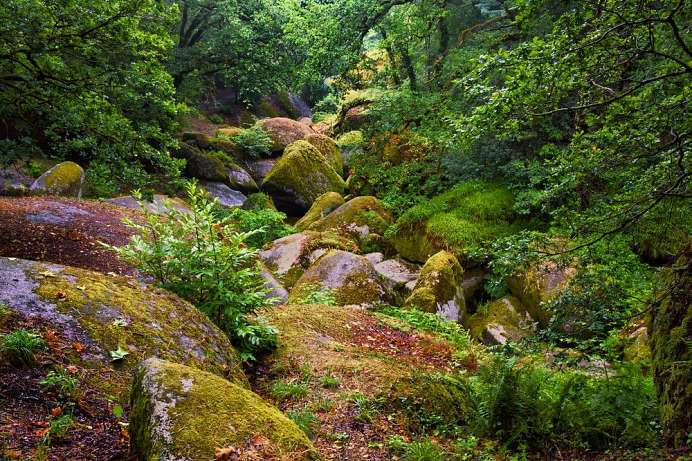 The largest remnants of the forests are now protected by the Parc Régional d'Armorique. On 112,000 hectares it extends from the west coast far into inland. Beech trees, chestnuts and maple trees form an old forest. On the western slopes, where the coastal wind whistles, shrubs and heather have spread. 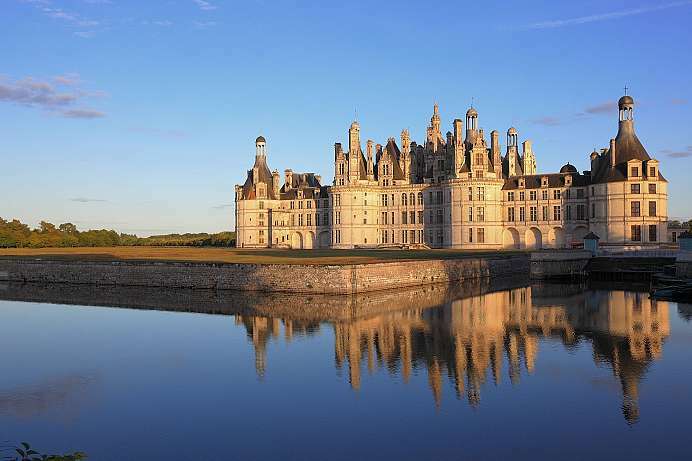 The capital of Brittany prides itself as a city of art and history. Although most of the city was destroyed by a fire in 1720, a number of historical buildings, many constructed in the traditional, timber-frame style, can still be found along the cobbled streets of the city centre. The most famous of these is the Parliament building, itself destroyed by fire in 1994 but recently restored. The 17-century cathedral with its stunning neoclassical interior towers above the city centre. 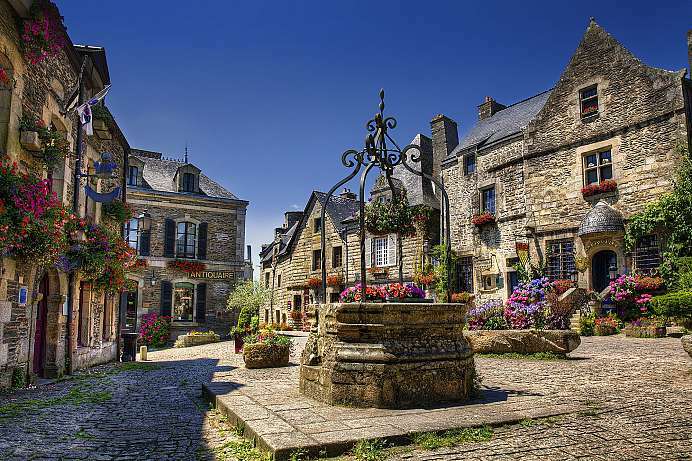 On a rugged rock surrounded by woods and heather lies one of the most beautiful villages in France. Geraniums and ivy grow on ancient stones. 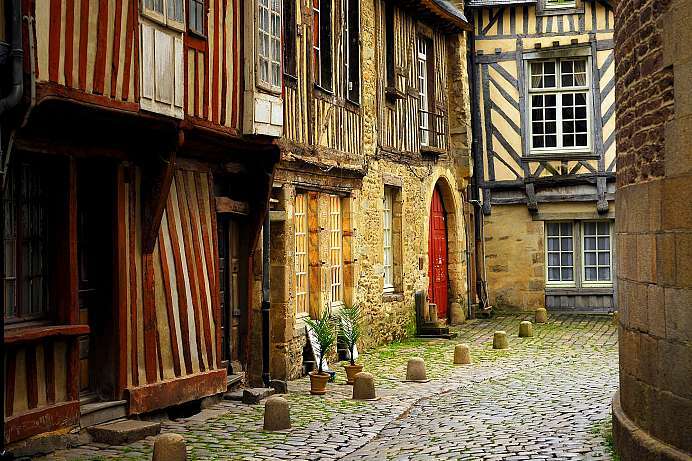 Cobbled streets are lined with cute timber houses. Imaginative signboards indicate that meanwhile many artists have settled in the car-free city centre, painting, drawing and selling their products. Most picturesque are the Place du Puits and the Rue Saint-Michel. The pen church and castle ruins are witnesses to a significant past. If you want to escape the hustle and bustle, you better visit the place early in the morning. The city on the Golfe de Morbihan has a delightful old town. Colorful half-timbered houses with upscale boutiques and gourmet restaurants line narrow cobblestone streets that run towards the semicircular Place Gambetta at the marina. The medieval town is surrounded by the ramparts, a fortress wall that today is partially integrated into parks. 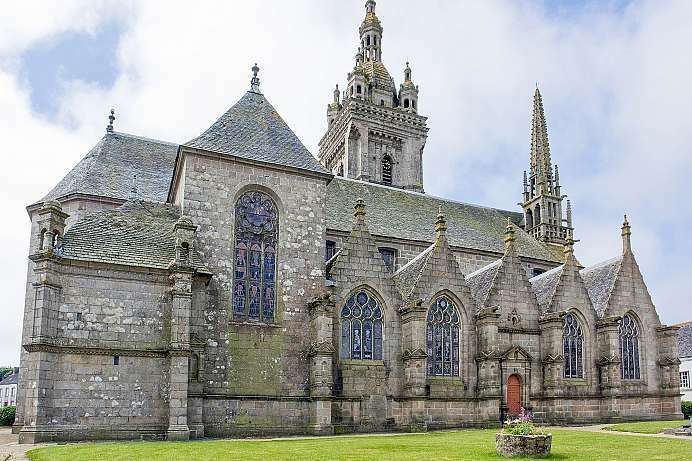 Worth seeing are also the Gothic cathedral, which is one of the largest in Brittany with a length of 110 meters, and the Château de l'Hermine, where the Institut culturel de Bretagne now resides.